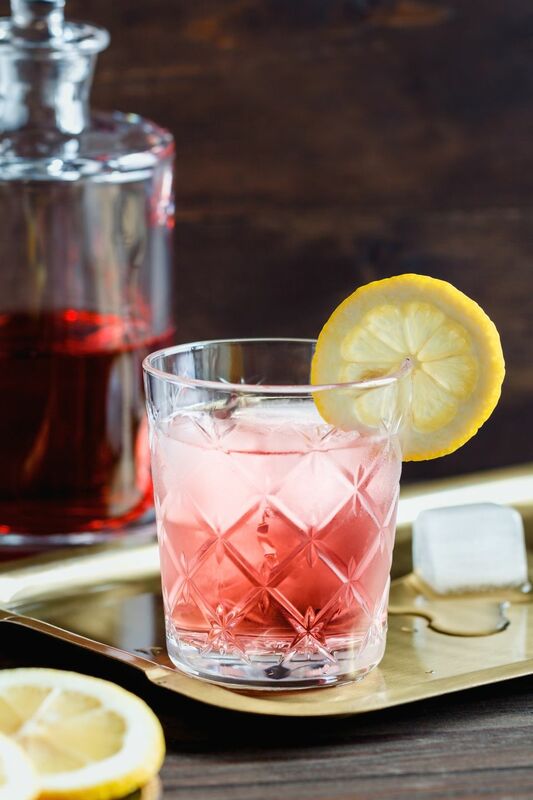 The Americano is a gentle introduction to the unusual and bitter taste of Campari. It is a fascinating drink with a long and rich history and it was the first cocktail mentioned in the James Bond novels. This is an iconic and delightful aperitif that you can enjoy before any meal. The cocktail recipe itself is extremely simple. All you need to do is pour equal parts of Campari and sweet vermouth over ice and fill the glass with soda. It's about as refreshing as a Campari cocktail can get and the bitter-sweet taste will delight your palate. That is not to say that the Americano is for everyone. The flavor profile is decidedly Campari, which is bitter and not in line with the inherent tastes of many Americans. Yet, if you can give it a chance and train your palate to enjoy Campari, the Americano will soon become a favorite. Tip: Switch to a highball glass and add more club soda for a tall thirst quencher. A truly classic cocktail, the Americano was first served in the 1860s at Gaspare Campari's bar in Milan, Italy. It was originally named "Milano-Torino" because of the origins of its two primary ingredients: Campari calls Milan home and sweet vermouth is also known as 'Vermouth di Torino' or Italian vermouth. The cocktail was later renamed because of its popularity among American tourists around the turn of the 20th century and prior to Prohibition. It's also fascinating to note that the Americano spurred the creation another famous Campari cocktail in the 20s. The Negroni, it's said, was invented because one Count Camillo Negroni ordered "an Americano with gin" while at a cafe in Florence, Italy. It seems that Ian Fleming also had a fascination with the Americano. This is the first cocktail ordered by James Bond in "Casino Royale," Fleming's first 007 spy novel. However, the Vesper Martini (or the manner in which it was ordered) overshadowed the Americano in the books and movies. Yet, it did make a few appearances in the series and in the short story, "A View to Kill" Fleming explains where Bond thinks it appropriate to enjoy an Americano. He writes that "One cannot seriously drink in French cafes" and that gin, whiskey, and vodka have no place on sunny sidewalks. In this venue, "Bond always had the same thing -- an Americano." For a very interesting and detailed look into the stories behind James Bond's drinking adventures, you will want to read Eric Felton's book, "How's Your Drink? : Cocktails, Culture, and the Art of Drinking Well." How Strong Is the Americano? You can, of course, top the Americano with as much soda water as you like and this will affect the strength of the cocktail. Yet, if we estimate that our total volume is around 5 ounces, this Campari cocktail weighs in at a gentle 9 percent ABV (18 proof).